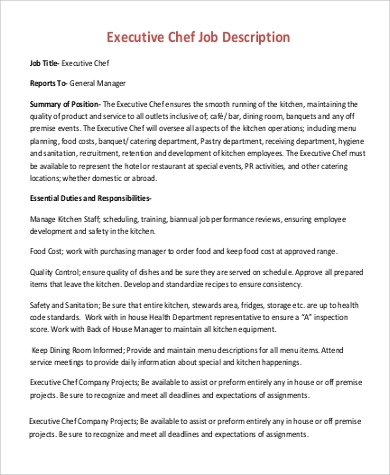 An executive chef is the leader of the kitchen. 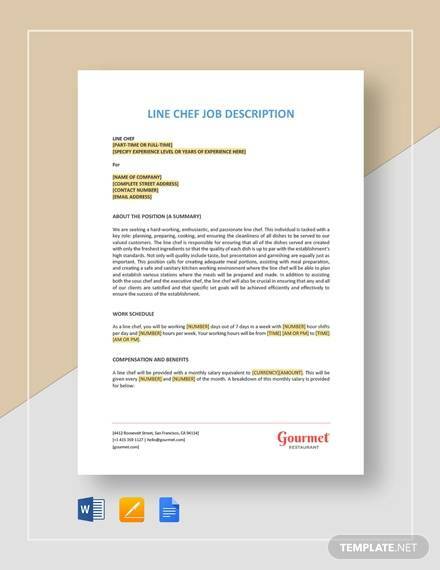 Any chef that enters a restaurant aspires and set goals of becoming one once they already have enough experience and their kitchen skills and expertise are more refined.All activities in the cooking and preparation area are all under the supervision of an executive chef. 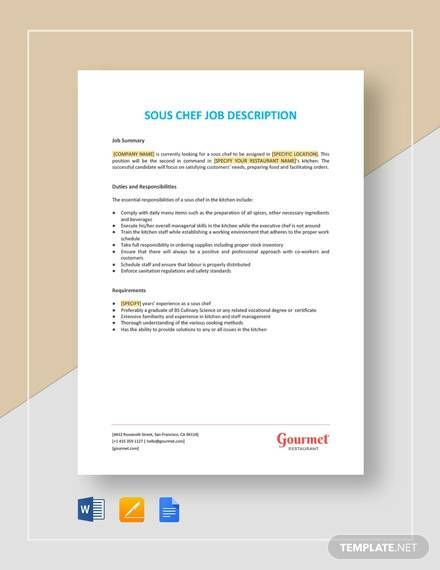 They can be called as the kitchen manager, head chef, or chef manager because they need to see all the things and procedures that happens before a food is being served to customers.We know that being an executive chef is an interesting job, but if you wanted to browse about functions of different jobs, we have other Job Description Samples. 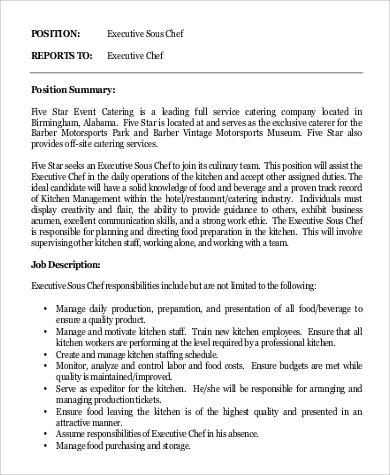 An executive chef may be hired for different purposes. 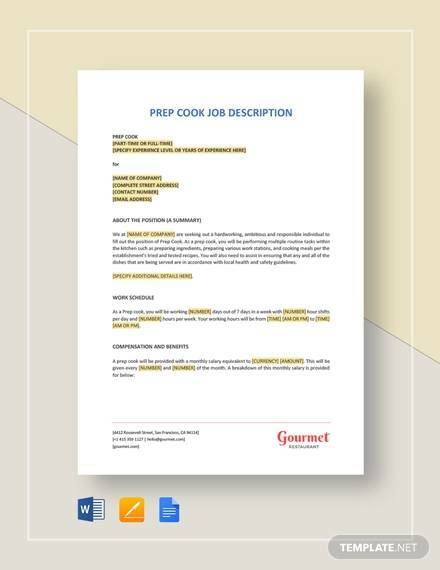 Some of them can be for catering, hotel kitchen operations, handling the food processes of fine dining restaurants, and be of service to other establishments whose main product is food. 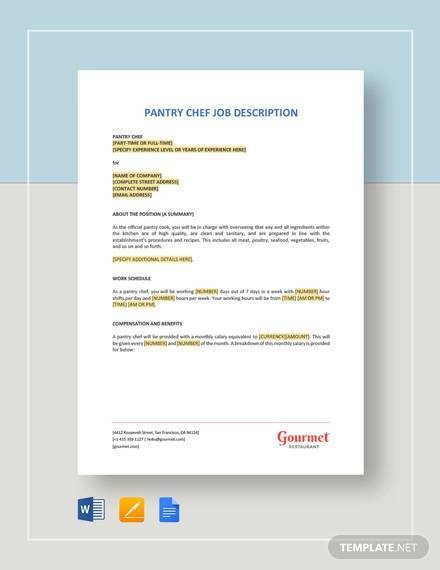 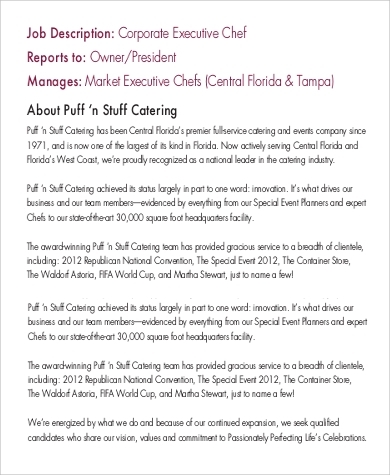 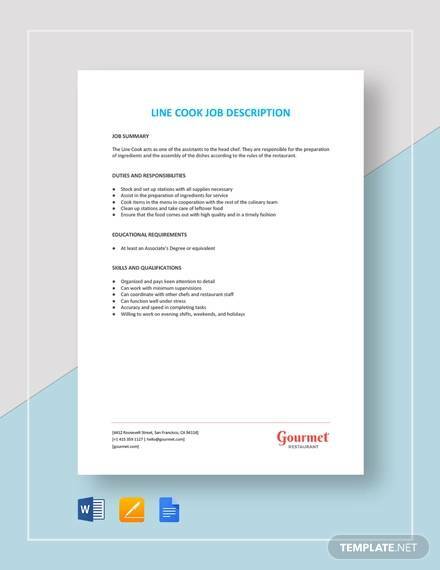 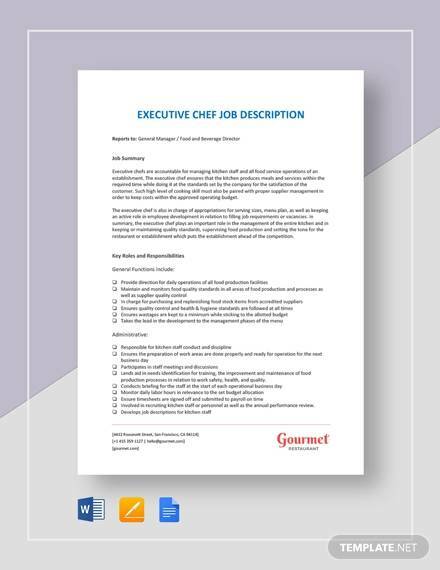 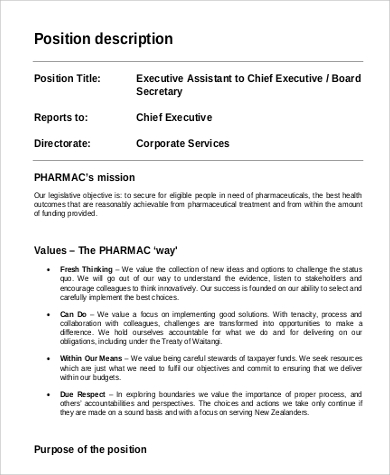 If you believe that you have already learned about the job of executive chefs in this article, you may also browse through our downloadable Executive Assistant Job Description Samples. 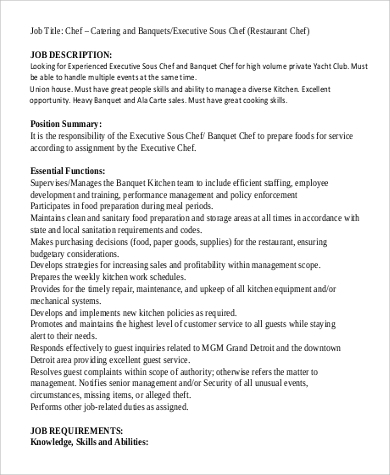 With all the demands of the work, executive chefs should have the passion, creativity, and management skills to meet the leadership needs of the kitchen and the staff. 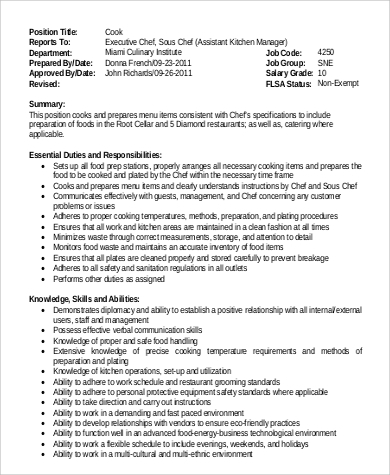 Also, a good culinary background and experiences are required. 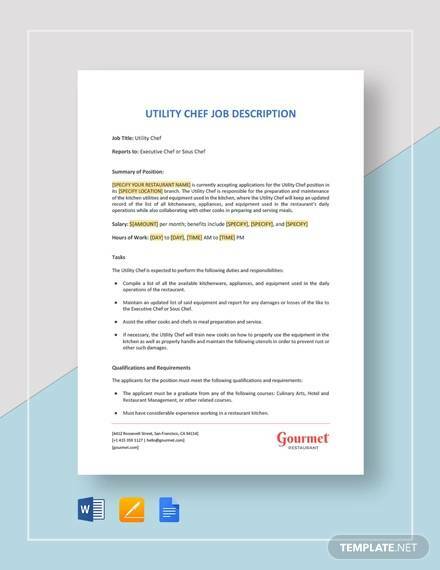 From planning, to execution, up to service, an executive chef must be able to ensure that he or she is doing his or her best so that customers will see the quality of work in every meal. 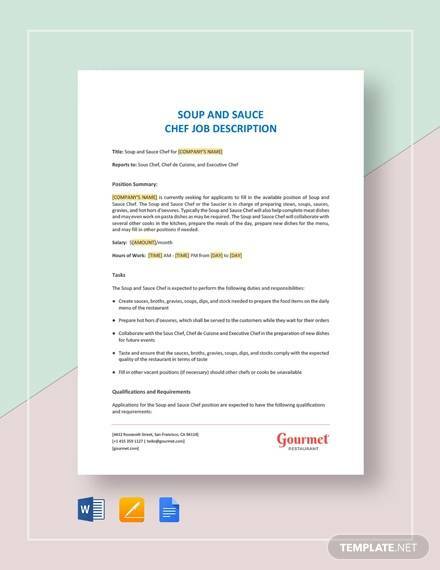 On certain days, executive chefs are asked to do a special catering or even have a live demo of how to prepare food in front of the diners. 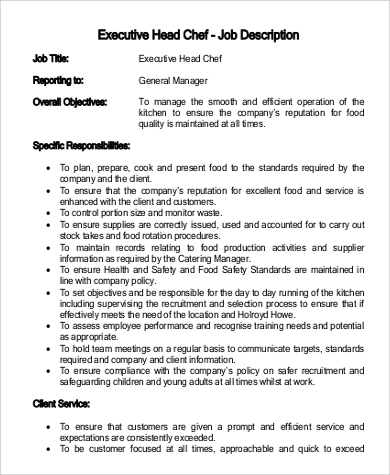 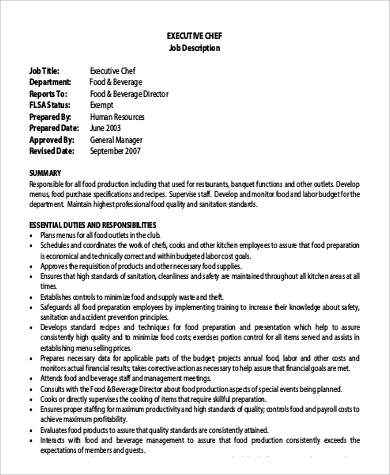 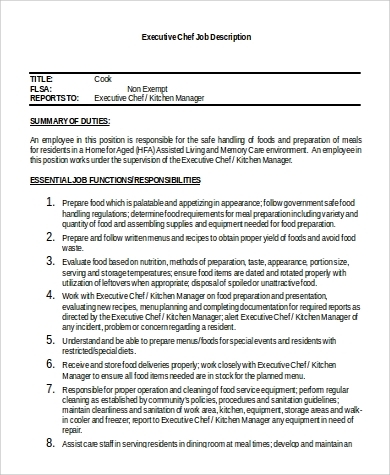 Hope this article has helped you to know the routine of an executive chef in daily kitchen operations.Sample Executive Director Job Descriptions are also available for your viewing.